This entry was posted in Music, News, People. Bookmark the permalink. I like Bruno Mars but my favourite singer is Ed Sheeran. I love him! I think that his songs are absolutely fantastic and some of them can be considered poems! well, shoulda know, PEOPLE AROUND YOU DOESN’T HAVE THE SAME THOUGHTS… know it now? I’m happy for Bruno Mars, he’s not my favorite singer but I like the type of music he sings. I am not very interested in Bruno Mars but I heard several songs from him and I think it’s great that he has won so many grammys. And answering the question I don’t have any favorite singer. I really like Bruno Mars’ songs,they’re really motivate! I really like Bruno Mars’ songs, but my favourite ones are from Melanie Martinez. All you guys have to listen to her. My favourite singer is Antonio José and my favourite song is Me Haces Falta. I like this post because is very interesting. Hello teacher! I have read your article, is very interesting and entertaining. I did not know that Bruno Mars had six awards. My singer favourite is Beyonce, she also has awards Grammy. I like bruno mars, I do not think my favorite singer is got grammys. Wow! That’s a lot of Grammys! I have never listened to Bruno Mars, but I supose he’s good. I’ve heard that Kendrick Lamar is a good singer. Answering the question, my favourite singer is Eminem, and he won 15 Grammys, and was nominated for 29. He’s awesome! I like this article because it has good information of the grammys for the people who couldn’t watch it. Otherwise, I think it’s quite unfair that only one woman has won a grammy. One of my favourite singers (Ed Sheeran) won 2 grammys and I’m proud of him. Bruno Mars won so many grammys and more artists deserved to win too. I really liked the article , and in the artícle has appeared my favorite singer who is Bruno Mars. I like the article, but no one of these singers is my favourite. My favourite group of music is Morat because their songs are very beautiful. They have won the double Platinium Disc and were nominated for six awards, also. I like the post, but i don’t mind Bruno Mars. My favourite singer is Ed Sheeran and my favourite song is Perfect. I like this post because Bruno Mars is a great artist. In my opinion, it’s an interesting article, it’s useful to know the artists of the moment. Bruno Mars is one of the best singers ever, he won those awards for his dedication and effort. Instead, Jay Z didn’t win anything and it isn’t fair, because if he was nominated it was because he did his job well. I think he deserved at least one award. In relation to women, I have to say that they deserved greater recognition, they have worked hard to get there. One of my favourite singer also won two awards, one award is “Best pop solo performance” and the other is “Best pop vocal album”. He is Ed Sheeran, I love his music. I like this post because Ed Sheeran is my favorite singer and he he won a prize. I liked the article because thank to the article I can be informed about the winners. Yes, he did. My favourite singer is Ed Sheeran who wins several awards. Well, I don’t have any favourite singer, but the singers that I listen aren’t nominated to that award. I like Bruno Mars a little bit, but I’m happy for him, right now he’s doing good music, it sounds good. I like this post because Bruno Mars is a very good artist and he deserves it. I liked the text, because I like his song “That’s What I Like”. I do not have singers or favorite songs, I like all styles of music. I have read the text and I liked it , because Bruno Mars is one of my favorite singers and was the big winner in Grammy Awards in New York. 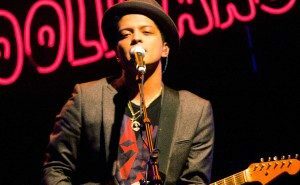 I liked the comment of Bruno Mars because it is a very interesting and informative article. yes I liked this article, because he’s talking about a winner in the grammys. I don’t have a favourite singer or song, but I’d like some types of music. I like this post because it´s very interesting. I don’t have a favourite singer but I like the type of music of Bruno Mars and I’m happy for his awards. He’s a good singer and his songs transmit me good feelings. I have read the text,I liked it because it says who has been the most awarded. My favourite singer did not win any prize but he should have won one. My favorite artist: Rihanna. She has won 9 Grammys and has been nominated for 24 Grammys. I loved the article about Bruno Mars, I like his songs a lot. My favorite singer is Snoop Dogg who has never won any award at the Grammys. I liked the article because my teacher says that I have to say something positive hahahaha it is a joke. I do not have any favourite singer because I’m not fond of music. It’s a very good article, because I like Bruno Mars and the article is very well written. My favourite singer is Ed Sheeran. He won two awards. So cool! Bruno is a fantastic singer. He is very cool! I love his songs.